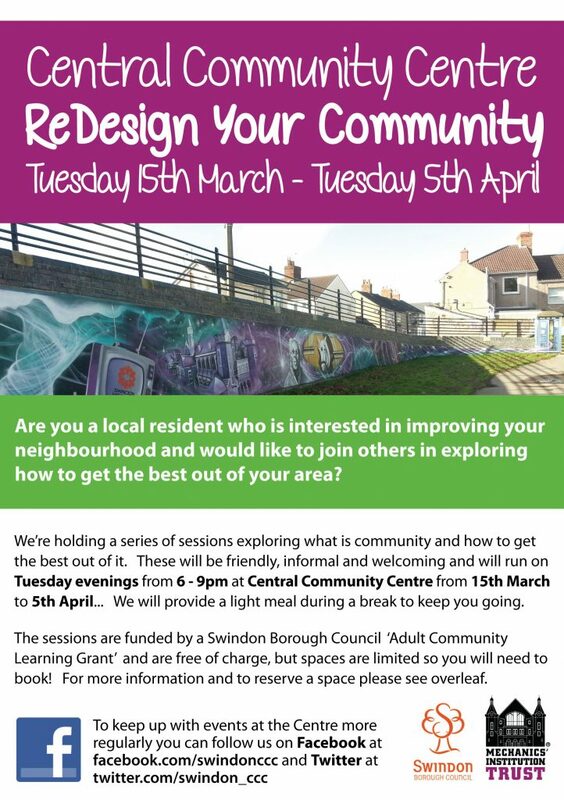 In March 2016 the Mechanics’ Trust ran a series of sessions called ‘ReDesign Your Community’ which was funded by a Swindon Borough Council ‘Adult Community Learning Grant’. The course was very well attended by residents from all over the Central Area of Swindon, including a number of residents from the Railway Village. The sessions were a great opportunity for local people to come together, get to know each other and learn new skills, and, importantly, to share and discuss the issues that were important to them where they lived. What do you want from your community / neighbourhood? What and who can help? How to make it happen in the real world. Following these sessions the group decided that they wanted to carry on meeting and that they wanted to set up a new residents’ group for the central area. The newly formed ‘Central Area Residents’ Improvement Group’ is now meeting every other Tuesday from 7pm – 8.30pm at Central Community Centre in Emlyn Square. 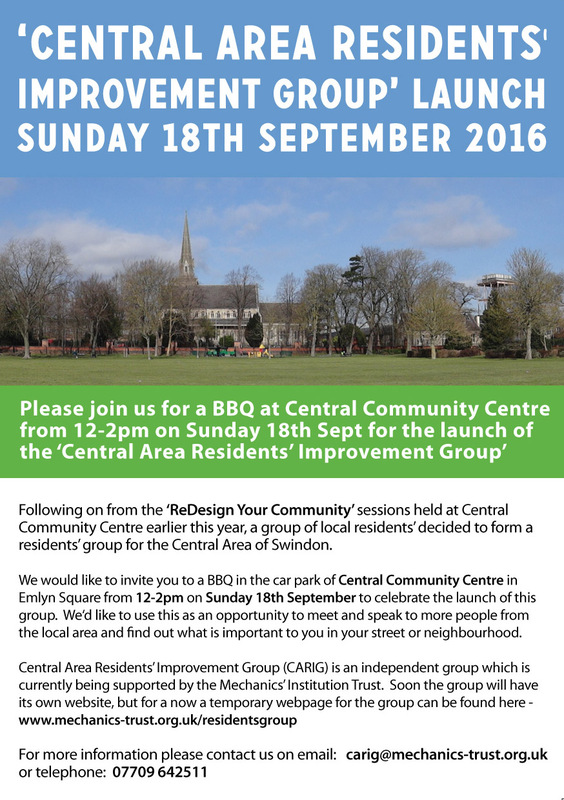 On Sunday 18th September from 12-2pm the group are having and official ‘Launch BBQ’ which all residents of the central area are invited to. This will be held in the car park of the Central Community Centre and cover will be provided should it be raining. The group really hope you can make it and looks forward to meeting lots of new people from the local area and finding out what is important to you! If you would like to join the residents group please contact carig@mechanics-trust.org.uk or telephone 07709642511.